EPQ Quilt Exhibition open Saturday and Sunday 10-4 | Eastwood Patchwork Quilters Inc.
Stop by and see us today or tomorrow, May 2-3 at Brush Farm House and Corrective Services Academy. You can enter the driveway opposite the sportsgrounds and netball courts at the corner of Stewart St and Marsden Road, Eastwood. 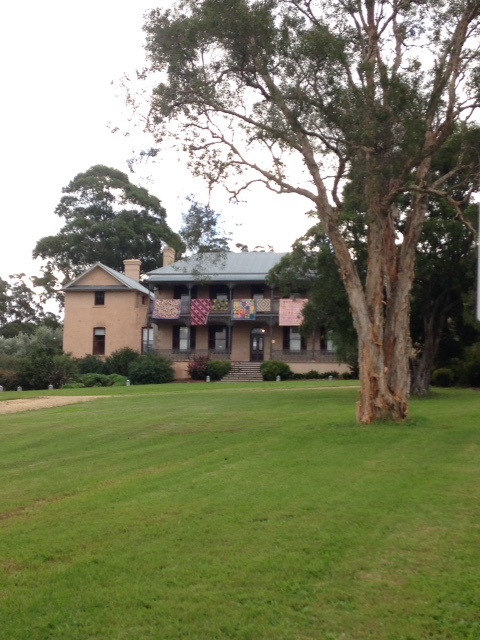 The house is looking great, all dressed up with members quilts and looking pretty glam! Inside you will find lots of beautiful quilts (115 in fact), and shopping with both members craft and four wonderful vendors. If you become a little weary, you can enjoy a Devonshire Tea/Coffee or some cakes and sandwiches made by the fantastic Eastwood cooks.